A wide range of high stability Temperature Compensated Crystal Oscillator (TCXO) solutions, from highly stable products for mass volume consumer applications through to industry leading ultra-stable products for more demanding applications. Rakon’s commitment to quality and high performance made it the default standard for consumer GPS, emergency beacons, telecommunications infrastructure and many other performance critical applications. Main Applications: Defense, Guidance, Avionics, Satellite communications. Main Applications: Precision Positioning, Satellite communications, Avionics. Main Applications: Emergency Locator Beacons. COSPAS SARSAT compliant. Technologies: IEEE 1588, SyncE, Stratum 3. Main Applications: High frequency communications, Low noise PLLs, Switches and routers, Small cells, Microwave systems and C-RAN radios. 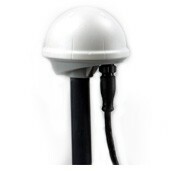 Main Applications: Precision Positioning, Test and Measurement, Telecommunications, High Reliability Defense, Stratum 3, IEEE 1588, SyncE, SONET, SDH, WDM, OTN, Carrier Networking, Carrier Ethernet, Microwave, Backhaul, Transport Equipment, Small Cells (WCDMA, LTE, LTE-A), Enterprise Networking. Main Applications: Smart Wireless Devices, Communications, Consumer Products, LBS Handset, PCMCIA CDPD cards, PDA, PND, WiMAX/WLAN, Wi-Fi and GNSS applications.